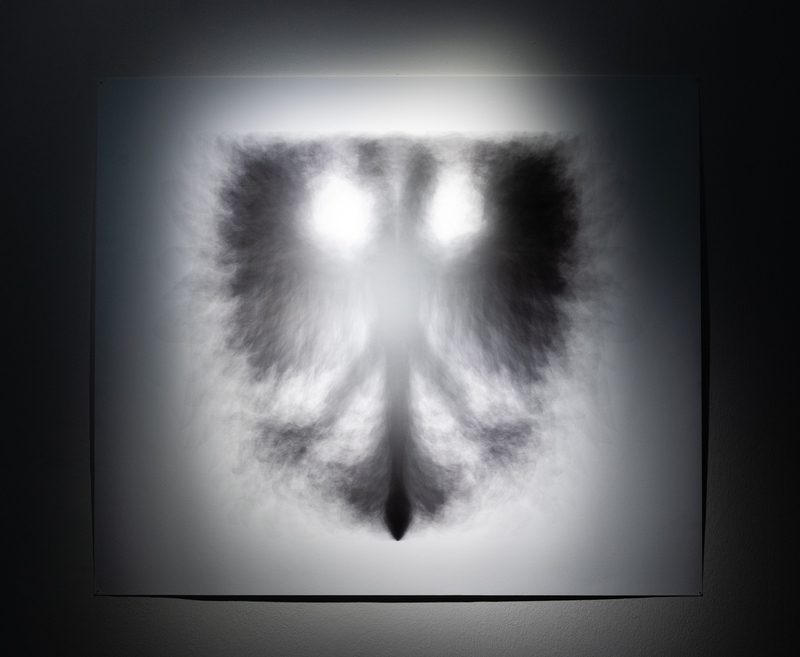 Over 200 silhouettes of heraldic eagles appear in a rapid succession of 10 frames per seccond. A raw impression of movement and transformation is generated by the variations of the eagles' body shapes. The video deprives this symbol of it's ideological sediments and raises attention to its morphology, the fluidity of shapes and their constant transmutation. Over 200 silhouettes of heraldic eagles are overlaid at 1% opacity. A shadowy figure emerges as a result of combining these silhouettes into a single image. Still, one can clearly recognize the outlines of a bird like creature as well as the shape of the shield that the heraldic eagle is generally forced into.